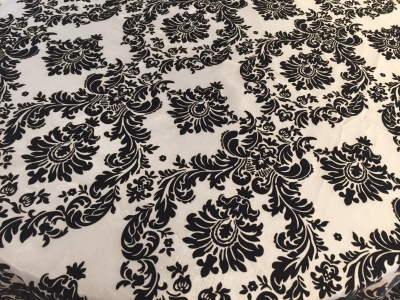 The black velvet and white satin texture is the ultimate in damask. Brightly colored napkins really pop on this cloth! 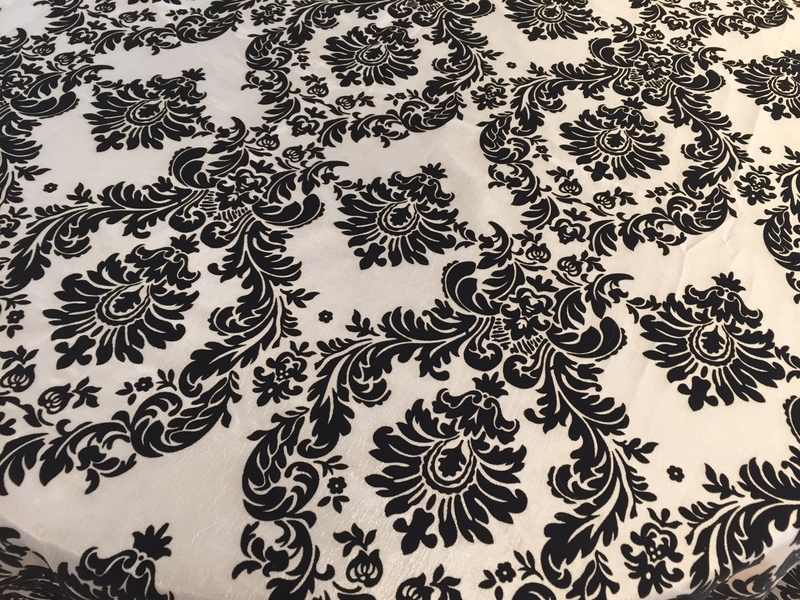 The black velvet and white satin texture is the ultimate in damask. Brightly colored napkins really pop on this cloth! Contact us for a swatch.